Which is particularly why is the easiest to do. It's perfect for beginners. All you need is three different shades of your favorite lacquer and a nail art brush. Simple &easy! First apply two coats of Revlon's Trade Hands. 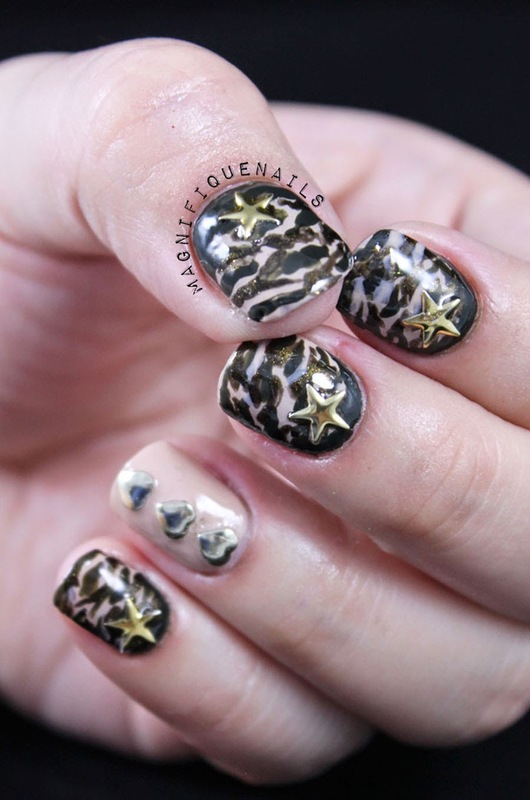 Once the polish is dried, with a nail art brush draw ruffian's on each nail, using Revlon's Jungle. 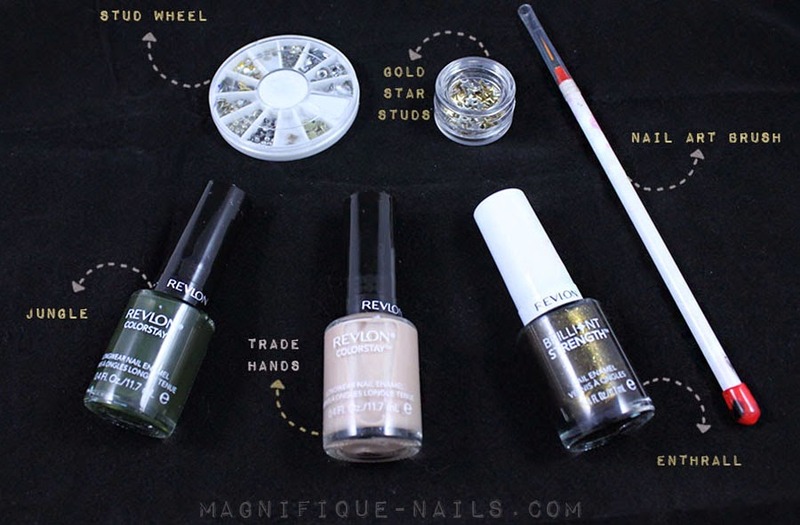 With your nail art brush and Revlon's Jungle, create free form shapes on either side of your nail. 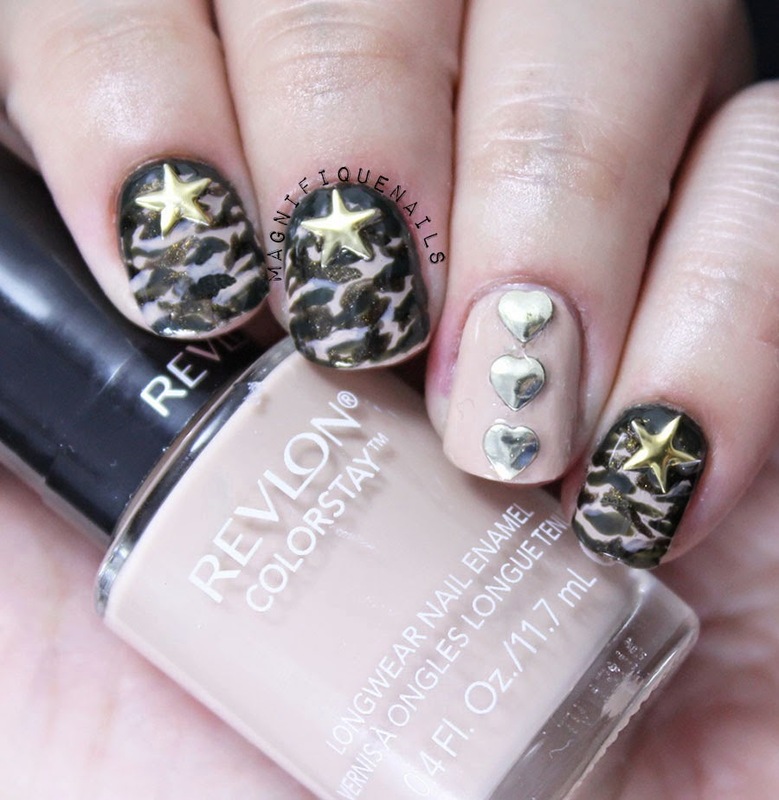 Use Revlon's Enthrall to overlap the colors, creating more dimension to the design. Make sure to leave some space to showcase the base color. 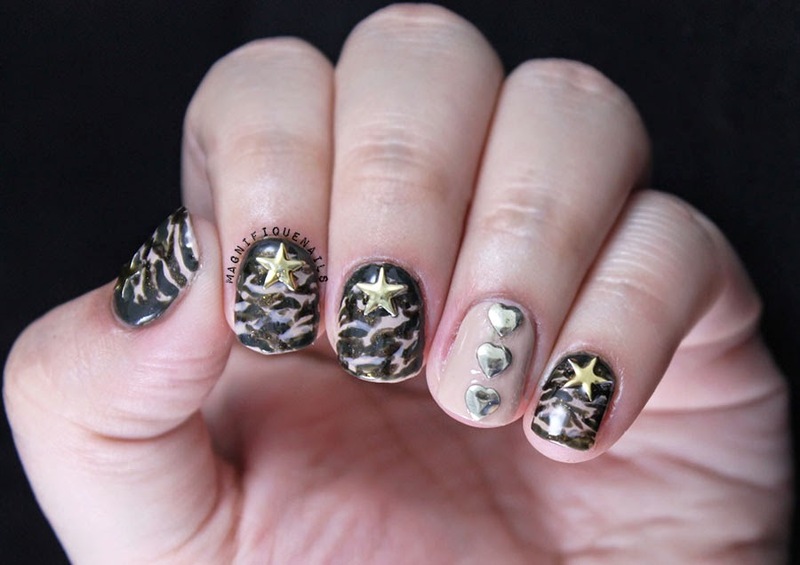 Once the design is complete, accent them by adding star studs on each nail (optional). You can purchase them in Nail Art Queens. Then add the three hearts on your ring finger, which you can purchase in Born Pretty Store (Get 10% off by using my coupon code: ADBQ10). Finish off with one coat Out the Door Top Coat.